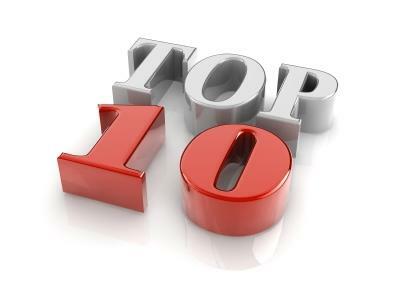 It's Friday, so it's time to bring you another run-down of the top ten most popular articles with Pharmafile.com's readers this week. Despite a drought of mergers and acquisitions throughout 2017, rumours are already circulating on what deals may occur this year, and among them, Celgene is expected to attempt to acquire Juno Therapeutics and the valuable CAR T therapy it is developing for $7 billion. Sanofi's controversy in the Philippines continues as the French drugmaker agress to reimburse the country's stockpiles of dengue vaccine Dengvaxia. Also, after it's groundbreaking approval from the FDA last year, Novartis' Kymriah has followed up this success with the confirmation of accelerated approval in the US and Europe. But the biggest story this week was the reveal of powerful combination therapy data for MSD's Keytruda, which is sure to startle rivals Roche and BMS. A study created by researchers at the Centers for Disease Control and Prevention has estimated that asthma is costing the US economy $81.9 billion each year. The FDA has expanded the indication of Boehringer's Gilotrif to include the first-line treatment of patients with metastatic NSCLC whose tumours have non-resistant EGFRs. Novartis has revealed that its proposed label expansion for CAR T therapy Kymriah has been accepted under accelerated regulatory pathways on both sides of the Atlantic. Celgene has already started off the year with a bang, announcing a deal with Impact Biomedicines worth a potential $7 billion, and it is reported that it is already in the process of making its second big acquisition of the year. Sanofi has agreed with the Department of Health (DoH) for the Philippines to reimburse $27.86 million worth of vaccines, though its press release associated with the decision suggests it may have been made through gritted teeth. Real world evidence is high on the agenda at many conferences, as people mull over the possibilities that it may hold for changing the way we track a particular medicine's efficacy. Matt Fellows has compiled some of the latest thought leadership on the challenges that lie ahead for wider adoption of the technology. Just over a year ago, Teva closed a case with US authorities by agreeing to pay a $519 million fine for bribing officials in Mexico, Russia and Ukraine; Teva has now agreed to a pay fine in the location of its headquarters, Israel. Roche has revealed that its multiple sclerosis (MS) drug Ocrevus (ocrelizumab) has been awarded marketing approval in Europe for two forms of the disease by the European Commission. MSD has stepped up the plate and revealed its immunotherapy combination trial results, and they're enough to send the company's shares soaring and its closest rivals diving.